The first reviews of my new book have appeared and I'm delighted to say they are very positive. I am honoured that the founder of the trail, Ron Strickland, likes my book, which he has reviewed on his blog. As soon as I had copies I sent one to Ron, then waited for his verdict. It's Ron's trail and his approval of my book means a great deal. That he finds my writing "magical" and my pictures "a pure delight" is really thrilling. I was also very pleased at the first review by a purchaser of the book - Robin of Blogpackinglight. As well as the content Robin praises the format (thanks publishers!) 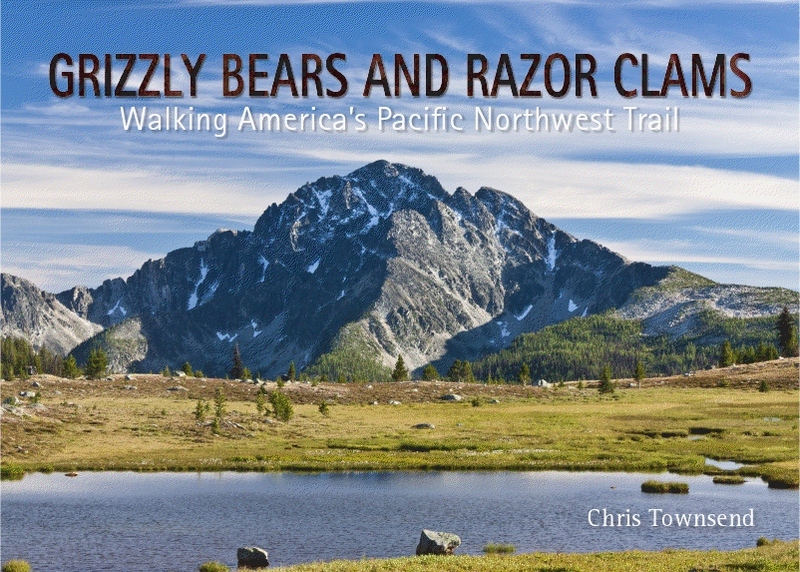 and says he'd like to see Crossing Arizona and Walking the Yukon in the same format. So would I! If Grizzly Bears is successful enough maybe it will be possible. There are also two five star reviews on Amazon, one from Tony Hobbs (thanks Tony!) and one from "Deep Reader". Tony says he would give it six stars if he could! "Chris captures beautifully the relationship that a walker develops with the land that he or she is hiking through." "Chris’ insights into the plight of the natural environment can be quite profound but never are they preaching." I have just finished your book, Chris, and I just couldn't put it down, thoroughly enjoyable. I very much like reading about your gear lists as for years I have choosen most of my gear on your recommendation knowing that it has been well and truly tested by you, and I am seldom disappointed. In your write up on the gear you took on the PNT you don't mention packing a trowel for the daily dump, why is that? Glad you liked the book Puffer. I didn't carry a toilet trowel because I realised I could use a tent peg or trekking pole instead.